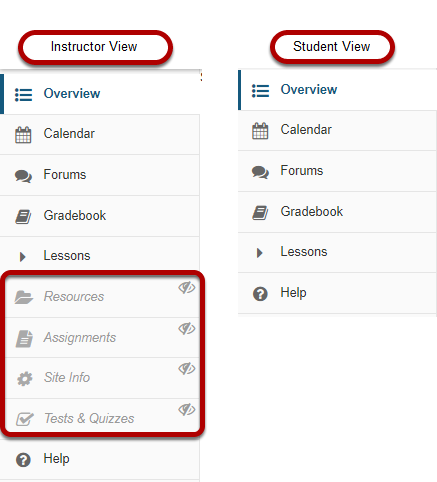 Sakai Community DocumentationSakai 19 User Guide (English) Site InfoHow do I hide or show items in the Tool Menu? Click the gear icon to the right of a visible tool. For example, if you hide the Resources tool in your site and upload an article PDF to Resources, you can create a lesson page and use the Add Content Links option to link to the article and make it available to students. You can also embed images on pages using the Rich-Text Editor. Click the gear icon to the right of a hidden tool. Click the gear icon to the right of a tool.